Which Office Suite Is Best for You? You’ll be pressed to find an occupation that doesn’t require word or number processing of some sort. Whether you need to produce a presentation, report, table, graph, or worse, you’ll want to work with software. that makes your job easy. With five different types of office suites available, we’re going to help you work out which is the best solution for you, whether you’re a student, working from a home office or running a small business. Microsoft wants you to put your faith into the Office 365 suite. It comes with different setups and prices, depending upon your requirements. You might select the Home, Personal, Small Business, or Students options, each of which offers the usual applications (Word, Excel, PowerPoint, OneNote, Outlook, Publisher, with only some offering Access) plus Skype credit and enhanced OneDrive access. Microsoft imposes a limit on the number of Windows or Mac OS computers you can install Office 365 on, but allows additional Android or iOS installations of Office Mobile. But how does this differ from buying the traditional desktop version of Office? Well, there is the subscription. With a monthly or annual payment for the service, Microsoft is able to lock you into its Office ecosystem. If you’re a student, you only need to spend $139.99 (£59.99) for a four-year subscription, which should cover the length of most courses. Business users benefit from an enhanced selection of tools, with hosted versions of Exchange Server, Lync, and SharePoint. Essentially, Office 365 is Microsoft Office as a subscription with cloud storage and Skype credit bundled in. If you need the enhanced cloud storage (your documents will be saved to OneDrive by default) and Skype credit, and feel you’ll benefit from a monthly subscription and tablet versions of Office, then Office 365 would be the best option for you. Note that Office 365 offers a trial version, one of the various ways in which you can use Microsoft Office apps without paying 6 Ways You Can Use Microsoft Office Without Paying for It 6 Ways You Can Use Microsoft Office Without Paying for It Do you need Microsoft Office but don't like the price tag? Here are some ways you can use Microsoft Office for free! Read More . Using Office 365 does require a bit of a rethink, a renewed appreciation of just what an office suite does. Note also that you can use Word, Excel, and PowerPoint Online for free Don't Pay For Word! 5 Reasons You Should Use Office Online Don't Pay For Word! 5 Reasons You Should Use Office Online Office Online is the free and cloud-connected version of Microsoft Office. Limitations are compensated by features, useful even to users of desktop Office. Best of all is its Read More even without an Office 365 subscription. Although Microsoft is pushing its Office 365 subscription, you can still buy the standalone Office 2016 suite and be done with a one-time purchase. Meanwhile, Office 2013 for desktops comes in different packages. Office 2013 Professional is $399.99 (£389.99) and comes with Word, Excel, PowerPoint, OneNote, Outlook, Publisher, and Access, while Office Home & Business 2013 is $219.99 (also £219.99 in the UK), and gives you Word, Excel, PowerPoint, OneNote, and Outlook. Finally, if you’re a student you can get Office Home & Student for just $139.99 (£109.99), with Word, Excel, PowerPoint, and OneNote. Does your budget suit the old-style desktop solution? If you don’t need Skype and OneDrive support, then it would seem sensible to forego these bells and whistles for Office 2013. If upgrading from an older version concerns you, consider enrolling on an online course to top up your Microsoft Office skills Upgrade Your Skills with the Best Microsoft Office Courses Online Upgrade Your Skills with the Best Microsoft Office Courses Online Microsoft Office is a required skill across offices worldwide. How adept are you? Massive Open Online Courses offer everyone the training to get better at it anytime, anywhere. Read More . Note that support for Office 2003 ended in 2014. And if you’re planning on upgrading to Windows 10 How to Upgrade to Windows 10 & Take Settings and Apps with You How to Upgrade to Windows 10 & Take Settings and Apps with You Windows 10 is coming and you have a choice to make. Either you upgrade your existing Windows installation, or you can install Windows 10 from scratch. We show you how to migrate to Windows 10... Read More be aware that Office 2007 and later are supported in Windows 10. 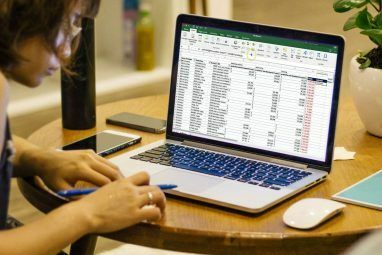 If you couldn’t care less about the peripheral features Microsoft has been introducing to its core productivity suite, particularly Word, Excel, and PowerPoint, you might want to abandon Microsoft Office in favor to an open source solution. An additional benefit is that these tools are usually free (with paid support). But are they really competent replacements for Microsoft Office? Well, things got off to a slow start with solutions such as OpenOffice (now evolved into LibreOffice). With the arrival of former Microsoft Office users, frustrated with the Ribbon interface introduced in Office 2007, things seem to have developed considerably. Meanwhile, it’s hard to spot a difference between LibreOffice or WPS Office and Office 2003, which is still considered by many to be the pinnacle of Microsoft Office, the moment when everything just worked and before Microsoft got distracted with needless bells and whistles. Our comparison of LibreOffice and Office 2013 Is the New LibreOffice a Better Microsoft Office Alternative? 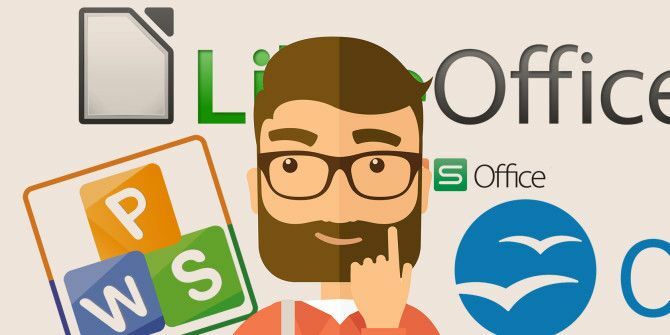 Is the New LibreOffice a Better Microsoft Office Alternative? LibreOffice, a long-time contender of Microsoft Office, just received a makeover and important updates. After being held back by niggling bugs over the years, has LibreOffice finally found the winning formula? Read More demonstrates just how close things are. If you’re disillusioned with Microsoft Office, don’t want to use the Ribbon interface, or have migrated to a Linux desktop (although these alternatives are available for Windows), then consider these solutions ahead of Office. Also, if you don’t have the funds to invest in a Microsoft Office suite, the free options are the sensible choice. Use an iPhone or iPad, or perhaps an Android phone or tablet? If so, you will find that there is a free Microsoft Office app for your platform. Windows Phone users can use Office natively with built-in Word, Excel and PowerPoint. Meanwhile, owners of a Windows tablet larger than 10.1″ will have to pay for universal Office apps, but they will also have the benefit of a user interface better optimized for touch. But are these versions any good? Well, it depends on what you’re expecting. By their very nature, these apps don’t replicate the desktop experience. For instance, with Office Mobile on Windows Phone, Word and Excel are very similar to the originals in a stripped back form, but PowerPoint doesn’t even allow you to create a new presentation, only edit and play back existing ones. In fact, you might prefer to avoid Word in favor of the free OneNote app OneNote Is Now Truly Free With More Features Than Before OneNote Is Now Truly Free With More Features Than Before Evernote no longer rules the roost of note taking apps. Microsoft recently announced OneNote would be more free than ever before. Let us show you what this means in terms of features and functionality. Read More , which will automatically sync to any desktop version of OneNote you own, thereby ensuring the work you have done is not lost. This also saves messing around browsing the OneDrive Office storage, as the OneNote syncing is automatic, making it a superb mobile productivity tool 10 Unique Ways to Use Microsoft OneNote 10 Unique Ways to Use Microsoft OneNote OneNote is one of Microsoft's most underrated apps. It's available on almost every platform and can do many tricks you wouldn't expect from a note keeping app. Read More . The story is similar on Android and iOS. These mobile versions are really only for anyone desperate to use Excel or edit PowerPoint. For the rest of you, the OneNote app does the job admirably. We’ve already mentioned that Office 365 includes Office Online, but you don’t need an Office 365 subscription to gain access. All you need is a free Microsoft account 5 Security Tips to Consider When Using a Microsoft Account 5 Security Tips to Consider When Using a Microsoft Account You can't use much of the new Windows 8 user interface without a Microsoft account. The account you for logging into into your computer is now an online account. This raises security concerns. Read More . Go to office.live.com and sign in or create a new Microsoft login. Here you’ll find a collection of browser-based apps, versions of Word, PowerPoint, Excel, OneNote, and even Outlook. You’ll also find OneDrive and Dropbox integration. As useful as these browser versions are (and they do tend to prove useful, far more than the mobile apps) they are hamstrung by not being full versions, so don’t have the entire range of features usually found in Office 2013 apps. But if you don’t need those features, then Office Online should be your default choice of free office suite. Of course, Microsoft isn’t the only browser-based office suite in time. 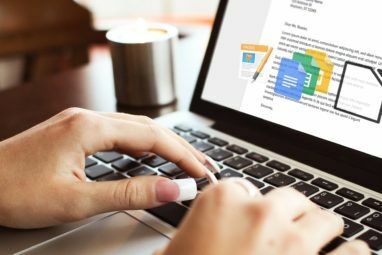 Google Docs has been around for some time, and with strong integration with Android devices and the ability to great text documents, spreadsheets, and presentations, it is a strong competitor for Microsoft in this space. You can also open Microsoft Office documents in Google Docs and edit them, support that isn’t available in the other direction. Perhaps you’re low on funds for an office suite or don’t have the physical space to run one. Ideal for high end tablets and netbooks, as well as those using thin clients, the browser-based office solutions from Microsoft and Google are pretty similar, and should get the job done. Having the document stored online and shared with the appropriate collaborators also makes online office apps a strong option for team projects. Have you been sweating over which type of office suite to use? Was money an issue, and have you found the solution? Explore more about: LibreOffice, Microsoft Office 2013, Microsoft Office 2016, Microsoft Office 365, Microsoft Office Online, OpenOffice, Text Editor, Word Processor. I will still stick with SSuite Office, it's free and runs on any Windows system without any java or .net concerns. Very nice for anyone that need just the basic functions and features of productivity. Uh, OpenOffice didn't "evolve" into LibreOffice. LibreOffice is just a fork of OpenOffice. Thank you SO MUCH for posting the instructions for how to downgrade back to Office 2013 in another post (which led me here asking for comments). My onscreen real estate is precious to me, so I disable the ribbon (which I HATE!) and only use the tools I need on the quick access toolbar, which I have thoroughly customized and organized. The changes to the quick access toolbar make the icons nearly impossible to see and they take up so much space that they no longer all fit on my screen anymore. For me, Word 2013 on my laptop and OfficeSuite 8 pro on my iPad and phone works well. I use LibreOffice in Mint for 99% of my regular document creation needs. Works quite well. About the only issue with LibreOffice or OpenOffice is the macro/VBA/automation end of things, which, deplorable as it is, Microsoft's solution still reigns... well, I won't say supreme but it's the only solution that works well. And I create a LOT of solutions in VBA. There are much better tools - I would vastly prefer wxPython and SQLite3 - but work won't allow it, they're fixated on Microsoft products, albeit dated ones. Python/SQLite3 would be more elegant to use, more robust and much more fun to write in, but you use what you're given, and that's that. I just wish the PTB at Open Document Foundation could see their way clear to getting the Gambas people on board: we'd have a very robust solution for LibreOffice tout-de-suite!! Learning curve for MS-Office users? pretty flat. Gambas is quite easy to learn and very versatile and quite stable. Be an excellent way to deal with that last obstacle to converting to LO. Among the problems with MS alternatives are that the choice in the vast majority of workplaces is MS. If a job requires that you use their MS office suite you may have a second learning curve if you are used to an alternative, that puts you at a disadvantage. Also while file compatibility is usually very good it's not 100%. When you encounter a "how do I do..." question with any office suite, the first place to look for help is often Google, to take a simple example I Googled for "+Microsoft Office, how do I add a watermark" (use the + but not the quotes, the + tells Google the results must include that word) I got thousands of results changing that to +corel, +libre +open or +kingsoft I get at best a few hundred results, at worst fewer than 10. OK whichever suite, that may answer the question but when it comes to more obscure problems you'll be down to zero. For £65 p.a. you can get a family subscription to Office 360 (from Amazon, I've seen it sold elsewhere for £80). That includes MS Office (Word, Excel, Powerpoint, Access, OneNote, Outlook, Publisher, OneDrive and Skype). The licence covers 5 users on Mac or PC and 5 tablets (Apple, Android or Windows). One standout bargain is for anyone using cloud storage. If you were paying £70 p.a. for a dedicated cloud storage service you’d be doing well to get as much as the 1TB this subscription includes – but the subscription is 1TB per user – i.e. possibly 5TB total! Having said that you need to ask if you need 1TB, my PC has a 1TB hard disk of which I currently use 20%. Also, in the unlikely event that you ever needed to download all that data, even on the fastest broadband connection, it might take you a couple of weeks! Putting the issue of storage aside, if your family (or maybe share with a friend?) can use 5 licenses for MS Office then 25 pence per person per week doesn’t sound like a lot to pay. Other benefits are that you get ongoing updates & technical support. For us the problem is which 5 of the household's 7 devices (PCs, Laptop, Mobiles, tablet) get a license. The Skype aspect includes 60 mins/month for each user of calls to landlines or mobiles including some international destinations – if you have friends and family overseas that too could be worth more than the cost of the entire subscription service. Our household has been spending more than £65 a year on Skype credit. I've only just made this purchase so cannot yet confirm this from experience but it looks as if the result for us is that we can save more by making best use of the Office 365 bundle than if we used one of the "free" alternatives because of reduced Skype spending and generous free cloud storage. As long-term users of MS Office (an ancient version) alternatives might give file compatibility issues (probably not but why take the risk?) and a bigger learning curve. I Am A supporter of KINGOFT office It is small and works just like Office. I would recommend it over Libre Office anytime. Funny how you ignore the office suite with the best word processor out there: Corel WordPerfect Office. I have X7, which came out last year. WordPerfect has the best document control and has allowed Publish to PDF in PDF/A format for a few versions. Quattro Pro is at least as good as Excel. Corel Presentations is clunky and full of bloat, but so is Microsoft PowerPoint and just about any other slideshow program. I've tried the freeware and I have to use MSO 2013 at work. I'll take Corel WPO any day. The only thing about it that concerns my is the interoperability. Not everyone uses the same office suite and I have to be absolutely sure that my document can be opened without issues by the people I write it for. To completely stay compatible with everybody and taking all office suites into consideration, you must use the Rich Text document format. It is the only open and free document format that can be opened by any office suite. It is even cross-platform compatible, Apple Mac, Linux, and Windows are capable of opening, reading, and saving this document format. Forget about docx or odf, only use RTF for all your document needs! Definitely a must read to stay ahead of the game! For Open Office/Libre Office you neglected to mention the modules that are installed by default, as you did for Microsoft Office. Libre Office comes standard with 6 modules: Writer (word processor), Calc (spreadsheet), Base (data base), Impress (presentation), Math (equations & formula editor), Draw (graphics program). You can also download a Charts module for creating all kinds of charts. Good observation, and thanks for adding it into the comments. Microsoft Office - well - cheap if you can get it on home use from your work, not that cheap as "Home & student", and damn expensive if you actually have to buy the full version yourself. Don't understand why they dropped Worksuite - it had what the average home user wanted - the "full fat" Word - and the suite filling in for the rest. I have been using Libre Office/ formerly known as Open Office. I prefer it over any other suite. Libre is just like Microsoft Office and at no cost. Thank you Libre for the great Suite.